TORONTO (Reuters) - The Canadian dollar edged lower against its U.S. counterpart on Tuesday as oil prices declined and investors weighed the potential impact of the U.S. midterm congressional elections on North American economies. Financial markets were bracing for President Donald Trump's Republican party to likely losing control of the House of Representatives, while retaining a majority in the Senate. "The Canadian dollar is not seen as a good safe-haven regarding U.S. politics," said Alfonso Esparza, a senior currency analyst at OANDA. "What happens if the U.S. starts slowing down, then would that drag (on) Canada? And mostly certainly it will." Canada sends about 75 percent of its exports to the United States, and its economy has been benefiting from faster U.S. growth following fiscal stimulus. The price of oil, one of Canada's major exports, fell to an eight-month low after Washington granted sanction waivers to top buyers of Iranian oil and as Iran said it has so far been able to sell as much oil as it needs to. U.S. crude oil futures settled down 1.4 percent at $62.21 a barrel. At 4:10 p.m. (2110 GMT), the Canadian dollar was trading 0.1 percent lower at 1.3126 to the greenback, or 76.18 U.S. cents. The currency traded in a narrow range of 1.3106 to 1.3145. The value of Canadian building permits increased by 0.4 percent in September from August, matching analysts' estimates, data from Statistics Canada showed. Compared to the same month last year, permit values were down 0.6 percent. The make-up of activity in Canada's economy has been moving away from housing and consumption toward business investment and exports, the Bank of Canada said in a quarterly report last month as it hiked interest rates for a fifth time since July 2017. Money markets expect another rate hike by January. Canadian government bond prices were lower across a steeper yield curve in sympathy with U.S. Treasuries after record amounts of longer-dated U.S. government debt supply. 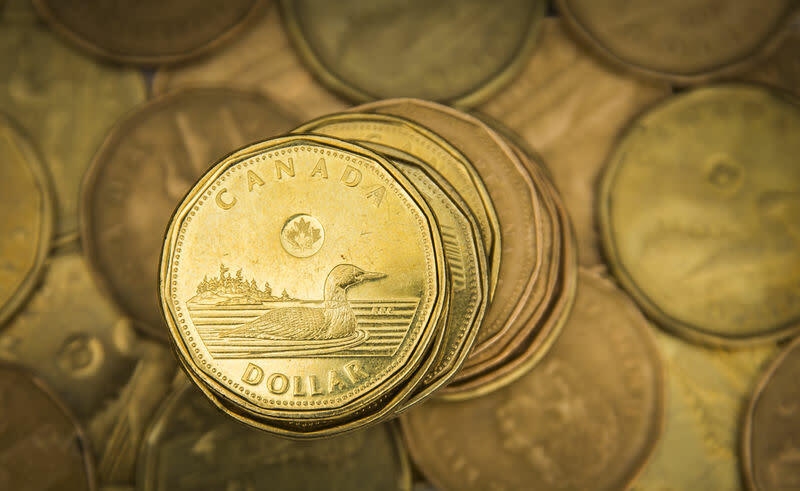 The two-year fell 2 Canadian cents to yield 2.356 percent and the 10-year declined 15 Canadian cents to yield 2.535 percent.